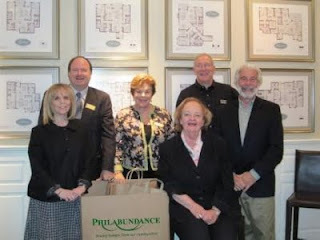 Pohlig Builders teamed up with the Prudential Fox & Roach Realtors Haverford Home Marketing Center, Rosemont, Bryn Mawr, Haverford Station and Gladwyne offices to host a Philabundance Food Drive and Brokers Open on Tuesday, October 12. It is hard to believe there are 900,000 people in the Delaware Valley who don’t have enough food. For almost 25 years, Philabundance has worked to fight hunger in the area.